The museum showcases the history of the Children of the Peace. They were a “plain folk”, former Quakers with no musical tradition, who went on to create the first civilian band in Canada and build the first organ in Ontario. 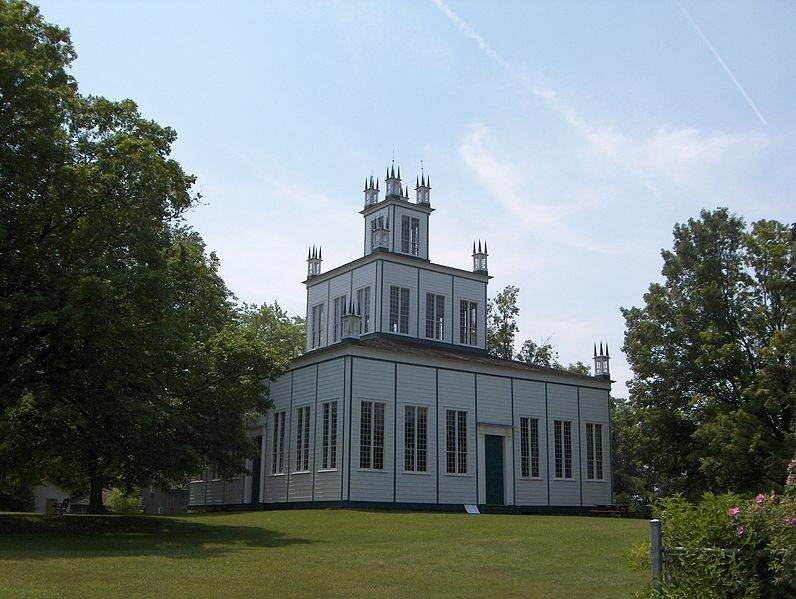 They built an ornate temple to raise money for the poor, and built the province’s first shelter for the homeless and by 1851, Sharon was the most prosperous village in the province. They took a lead role in the organization of the province’s first co-operative, the Farmers’ Storehouse, and opened the province’s first credit union. They played a critical role in the development of democracy in Canada through their support of William Lyon Mackenzie and by ensuring the elections of both “fathers of responsible government,” Robert Baldwin and Louis LaFontaine, in their riding in 1841, despite threats of political violence. But today, they are primarily remembered for the Temple, an architectural symbol of their vision of a society based on the values of peace, equality and social justice. The center piece of their activity was The Temple. Completed in 1832 and restored in 2011, it is now part of the Sharon National Historic Site, which encompasses nine historic buildings in a park like setting. The Temple was recognized as a National Historic Site in 1991 because of its architectural significance and its history as one of Canada’s first examples of historic preservation. Buildings on site include the Temple, Meeting house, schools, David Willson’s study (founder), home of Ebenezer Doan (master builder of the Temple), the log house of Jesse Doan (bandmaster of Children of the Peace) and the cookhouse (to name a few). During the 1990s and the first decade of the 21st century, the site benefited from new research made possible, in part, by the discovery of a large collection of original documents hidden in the altar at the center of the Temple. For more information please contact the museum at 905 487 2389 or email them at info@sharontemple.ca. For details about museum facilities, programs, events and more, please visit their website.